One answer to this challenge has been the effort to create "humanized" mice. Basically, a human immune system is transplanted into mice along with the human tumor. A truly humanized mouse model would allow researchers to test the ability of immunotherapies to direct a human immune system against a human cancer…in a mouse. The procedure is a bit like a bone marrow transplant used to treat leukemia. Commonly, chemotherapy or radiation is used to knock out a patient's blood system, after which a new (non-cancerous) blood system is grown from bone marrow stem cells from a healthy donor. Only, when researchers have used a similar approach to delete and replace the mouse immune system, the result has been lackluster – only small numbers of human immune cells populate the mouse bone marrow, few immune cells circulate near the tumor, and fewer immune cells penetrate the tumor. "We need both kinds of cells. HSPCs give rise to blood cells like T cells and B cells; MSCs seem to assist the bone marrow to generate more of those blood cells and also other cell types such as macrophages and fibroblasts. We've known from transplantation in humans that these sides of the immune system cooperate. Now we see something similar when engrafting human immune systems in mice," says Antonio Jimeno, MD, PhD, director of the Head and Neck Cancer Clinical Research Program at the University of Colorado Cancer Center, a member of the Gates Center for Regenerative Medicine, and the Daniel and Janet Mordecai Endowed Chair for Cancer Stem Cell Research at the CU School of Medicine. "There's not a perfect model and all models have limitations, but it's important to try to move the field forward. Sometimes you get a touchdown and sometimes you just go one yard at a time. 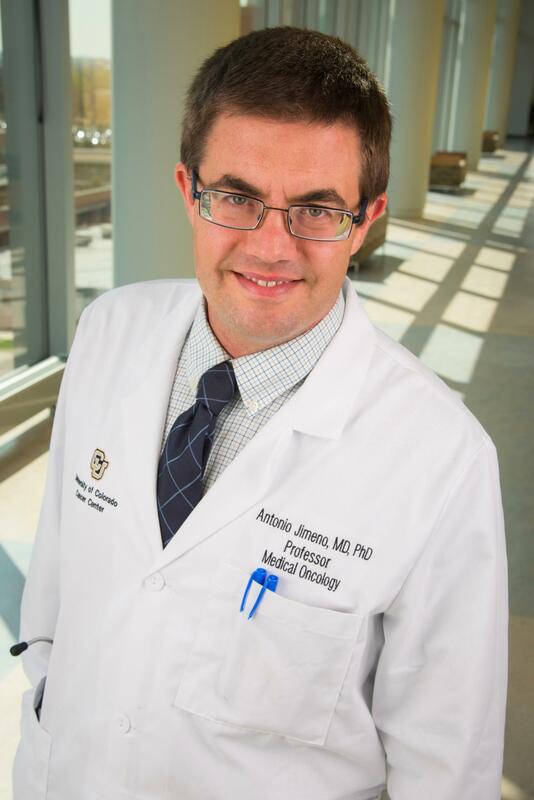 This study describes many of these one-yard runs as we've been incrementally learning over the course of years," says J. Jason Morton, PhD, assistant research professor in the CU School of Medicine Division of Medical Oncology, and the paper's first author. "At the end of the day, what you want to generate with these models is a system that allows you to ask questions," says Xiao-Jing Wang, MD, PhD, CU Cancer Center investigator and the John Gates Endowed Chair of Cancer Stem Cell Biology at the Gates Center for Regenerative Medicine.